We know how you’re feeling right now. Frustrated. Peeved. Maybe a little angry. You’ve probably found this blog because your website (or a website you are visiting) is not working how you’d like it to. In our line of work, we encounter HTTP errors all the time. They are an inescapable consequence of using the internet every day. To clear up any confusion and hopefully provide some insight as to why a website may not be functioning at 100%, here’s an overview of some of the most common HTTP errors and status codes, along with possible solutions to repair them. Jump to a particular error: Error 401, Error 400, Error 403, Error 404, Error 500, Error 501, Error 502, Error 503. What Does HTTP Error 401 Unauthorized Mean? The 401 Unauthorized HTTP error is a status code signaling that the page you were attempting to reach could not be loaded without first logging in with a valid user ID or email and password. You’re seeing this error because some aspect of your login credentials are incorrect. To fix a 401 unauthorized error, check for errors in the URL of the web page you are trying to open. It’s possible it was typed incorrectly. If that’s not the issue, double check to make sure the login credentials you entered were keyed in without any mistakes. If you still encounter the 401 error with the correct URL and login information, this is the time to contact your webmaster to take a closer look at the issue. What Does HTTP Error 400 Bad Request Mean? HTTP Error 400 – The request hostname is invalid. 400 – Bad Request. The Request could not be understood by the server due to malformed syntax. The client should not repeat the request without modifications. This status code is triggered when the request you send to the server is somehow wrong or corrupted, and the server failed to understand what you wanted. This occurs most often when you type a URL into a search bar incorrectly. Check for spelling errors in the URL you are trying to access. If that doesn’t work, trying clearing your browser’s cookies and cache. If the problem persists, there may actually be no problem on your end, but something a webmaster will need to address. When the error appears on every website you attempt to visit, there is likely an issue with your computer, internet connection, or internet provider. What Does HTTP Error 403 Forbidden Mean? This error indicates that the page you were attempting to access is completely forbidden. Forbidden: You don’t have permission to access [directory] on this server. A 403 error is signaling that you are not wanted on that particular page of the internet. As always, make sure you are entering the correct page URL. If that doesn’t work, try clearing your browser cache and cookies. When that doesn’t work, this means it could be a problem for a webmaster to handle, your ISP is experiencing issues, or your IP address has been blocked by this particular website. If it turns out none of these issues are the root of the problem, you might just want to try coming back to the website later. The problem may resolve itself. What Does HTTP Error 404 Not Found Mean? This HTTP status code appears when the page you are trying to reach cannot be found on the website’s server. It’s quite common for websites to customize 404 error pages, so they could really look like anything. 404 errors are almost always the fault of the person searching. So, if you’re seeing this code, you likely made a mistake. First, try to reload the page. Sometimes simply refreshing a page solves the problem right away. If this doesn’t work, check the URL you entered into the search bar for mistakes. If this doesn’t work, trying searching for the page on Google, rather than entering it directly into the address bar. The website may have changed the slug without redirecting to the new address. If this doesn’t work, try clearing your browser cache and cookies. If the problem continues, contact the website directly and explain the issue, it really may boil down to the fact that they forget to enter in a redirection and many visitors are experiencing the same problem you are. What Does HTTP Error 500 Internal Server Error Mean? This code means something has gone wrong on the website’s server, but the server is unsure of what actually happened. These errors are generated by the website you are visiting, so it’s never an issue with your ISP. Try refreshing the page, occasionally a simple reload will solve the conundrum. If this doesn’t work, try clearing your browser cookies and cache. If you are finding this error on your website, the solutions are much different. Contact your content management system or webmaster for more help. What Does HTTP Error 501 Not Implemented Mean? This error indicates that the web server is experiencing an overload, the server is out of date, or that the server is incapable of properly responding to your browser’s request. This is not an error that you can fix on your own. Contact your webmaster. What Does HTTP Error 502 Bad Gateway Mean? 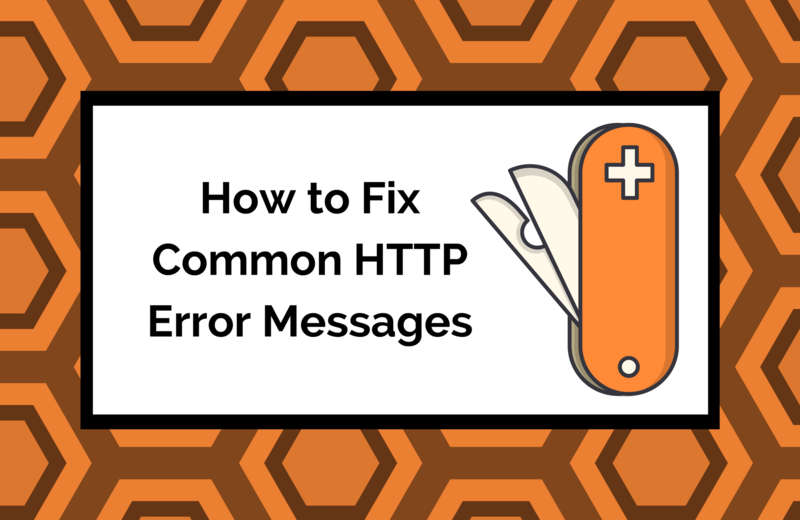 HTTP Error 502 means there has been a miscommunication between one server and another. These errors occur independent of your computer. 502 Server Error: The server encountered a temporary error and could complete your request. Bad Gateway: The proxy server received an invalid response from an upstream error. There may actually be no error at all, and your browser just thinks there is one. Try reloading the page, starting a new session in a new window, clearing your browser cache and cookies. When these options do not work, try running your browser in Safe Mode. If this doesn’t work, try using a different browser: Chrome, Firefox, Internet Explorer, or Safari. Still encountering 502? Restart your computer and your networking equipment, i.e. your modem and router. When none of this works, contact the webmaster of the site directly, your internet service provider, or simply just try visiting the webpage at a later date. This HTTP status code is letting you know that the website’s server is unavailable. This could mean the server is overloaded, or someone or something is performing maintenance. There are a few different steps you can take. Try reloading the page, restarting your networking system, restarting your computer or phone, contacting the website directly for assistance. If you are encountering this error on your own website, contact your webmaster. If any of this seems like too much to manage on your own, contact Frozen Fire today. We can assist you with your website functionality needs. Our clients receive monthly website audits to ensure their site’s are functioning properly all year long.